Eddie is Establishment now but the Randwick man got his big break coaching the upstart Brumbies. The great Rod MacQueen had laid the foundations for a team originally composed of discards from Queensland and NSW. Innovation comes from the margins. Kinda looks like 1/4. And keeps up our teapot theme for this review. Ireland brought only two scrum halves to this tournament and a third choice outhalf who played very little even in the event of the incumbent getting injured. The national inability to produce international quality scrum halves with any sort of consistency is a mystery to me. Of the twenty scrum halves selected for the last seven Lions tours, only two were Irish and Tomas O’Leary got injured before he could travel. 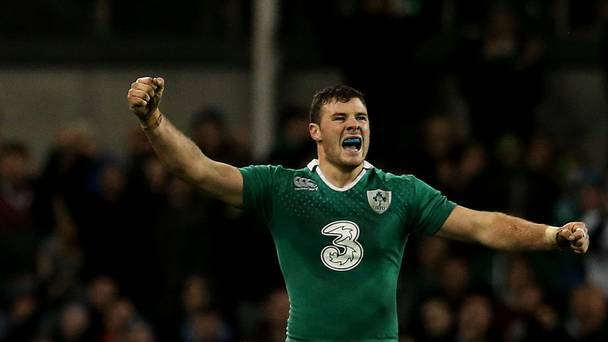 Henshaw’s performances in the 2015 Six Nations were extremely impressive for a young player making his first appearance in the tournament. Making breaks and beating defenders is tough in the No12 jersey – there’s no room. In those regards, Henshaw had a cracking Six Nations, easily outperforming any of his northern hemisphere contemporaries. Over the course of the 5 games in the Six Nations, Henshaw was credited by ESPN with 4 clean breaks [2 vs Scotland, 1 vs England, 1 vs Italy] and 16 defenders beaten [2 vs Scotland, 3 vs Wales, 6 vs England, 2 vs France and 3 vs Italy]. That gives an average of 0.8 CB/game and 3.2 DB/game. Jamie Roberts started all five games for Wales and is credited with 1 clean break and 6 defenders beaten [average: 0.2CB/game and 1.2DB/game]; Luther Burrell started all five for England and is credited with 2 clean breaks and 3 defenders beaten [0.4 CB/game and 0.6 DB/game -and those figures point towards why he didn’t make the English RWC squad]. No other No12 started more than three matches in the championship. Masi [Italy] played in three games and is credited with 2 clean breaks and 4 defenders beaten [0.7 CB/game and 1.3 DB/game]; Fofana [France] played in three and is credited with 2 clean breaks and 6 defenders beaten [0.7 CB/game and 2 DB/game]; and Dunbar [Scotland] started 3 and is credited with 2 clean breaks and 2 defenders beaten [0.7 CB/game and 0.7 DB/game]. He massively outperformed both in totals and averages all his contemporaries in those key attacking categories, and was first rate defensively in a successful Six Nations defence. He was an unqualified success with an extremely strong claim to have been the best No12 in the tournament. Tommy Bowe: Probably one of, if not the most, popular players on the team, and one of the most accomplished. Beside being the second highest test try-scorer in the history of Irish rugby – behind only Brian O’Driscoll – Bowe is also a five test Lion, a double IRUPA Player of the Year [2008 and 2010] and a former Six Nations Player of the tournament .